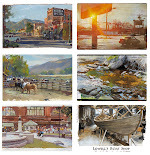 Peter Ivanovich Kotov (1889 - 1953) was a Russian artist who studied with Nicolai Fechin. 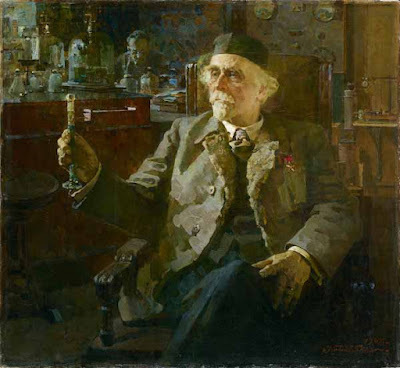 This portrait of the chemist N.D. Zelinsky features the main subject in warm light, while the outer areas of the scene is cast in cooler, more subdued light. Kotov was also known for his paintings of industrial subjects. 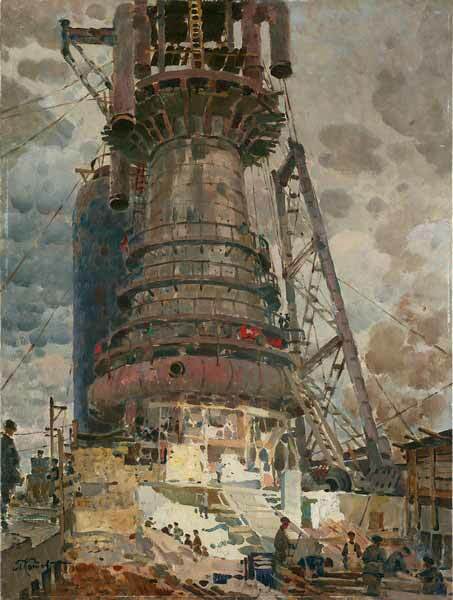 This 1931 oil painting of a blast furnace focuses the light on the base of the tower. It's amazing how much detail is shown in the portrait's surroundings, that isn't noticed at first due to the high contrast.